Have you ever faced this situation where your plugin or workflow assembly is referencing some utility assembly for which you do not have the code base. Well we had this situation very recently where we were required to refer to some external utility dll to perform some operations. The problem we had is we did not have the code for the assembly. 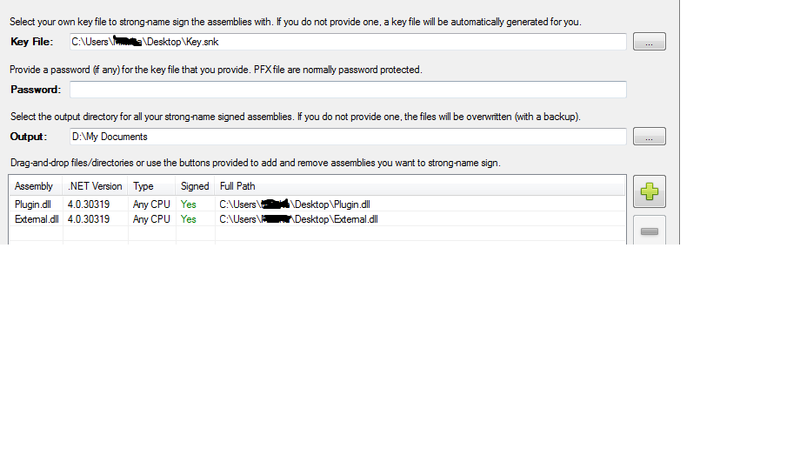 And for registering the plugin in Dynamics CRM, we need to sign the assembly. So when we were trying to build the assembly, we were getting ‘Referenced assembly does not contain strong name’. The only way left was to sign the external assembly or load the external assembly dynamically in your plugin code. The second option was not possible since ours was online environment. Finally after a good amount of search came across the below utility. And voila! I was able to sign the external assembly with my plugin strongname key. Attached is the screenshot of the tool. you can also merge the dlls using ILMerge. First of all while you reference the external assembly in your plugin project(which is strong named) and try to build the assembly, there would be a build error = ‘referenced assembly does not contain a strong name’. So you would be stopped at the build level only.